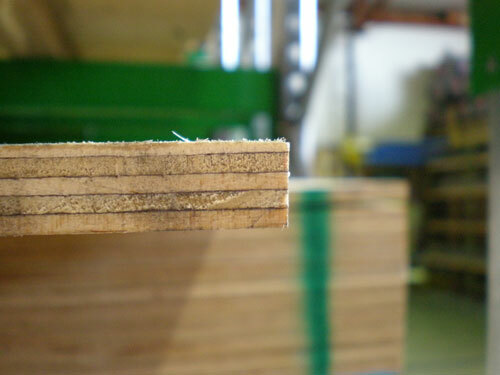 Plywood consists of thin sheets of wood (veneers) joined together by glue. The veneers are cut in thin peels from a rotating log and dried before being glued together in layers, or to a solid wood core. Radiata plywood is mainly used in building.